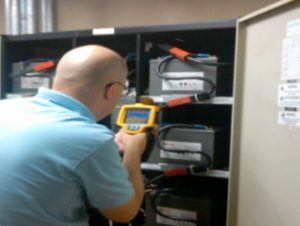 ESS offers 20 years of professional battery installation and maintenance experience to insure that your product is safely installed, on time, and code compliant. Additionally, battery maintenance and testing helps to identify damage that may threaten optimal battery performance and life. The TRM-608 Advanced Thermal Runaway Monitor offers a low cost option to monitor your battery strings for thermal runaway while being compliant to IFC-608 regulations. The TRM-608 easily installs on any VRLA, VLA, NiCAD or Lithium battery string with voltages between -600Vdc and 600Vdc with a single controller able to monitor up to six strings. Its low cost, easy installation, detailed Dashboard graphs, and user-friendly interface make it the perfect new and aftermarket battery monitor for your battery strings. Additionally, our skilled technicians have years of experience installing Cellwatch and Alber battery monitor systems. These systems monitor your batteries individually at the jar level for many variables including voltage, current, and resistance. Our TRM-608 Advanced Thermal Runaway Monitor, Cellwatch and Alber systems have Web based communications and can be managed from any personal computer through your network. 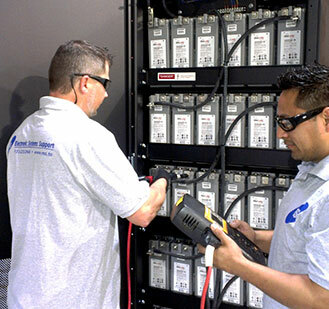 For more information regarding our battery monitor installation services please contact sales@ess.to. At ESS we pride ourselves in having the know-how and the capacity to supply our customers with knowledgeable advice and custom solutions for their needs. 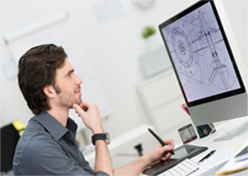 Using the leading 3D design software available, we can easily evaluate a design, communicate the ideas to a customer, and quickly go from concept to production. Contact our sales department for more information. ESS is a custom engineered 149,000 sq. 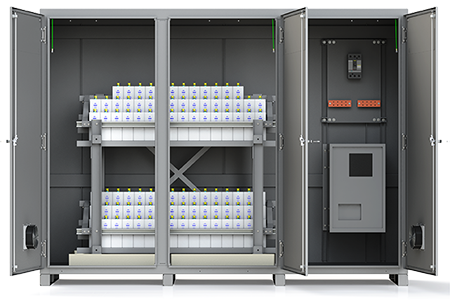 ft. facility designed for advanced sheet metal fabrication and superior assembly of battery cabinet and rack solutions. 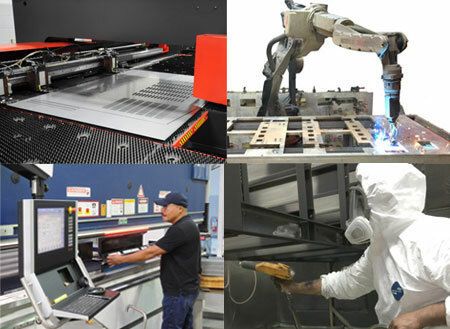 With in-house laser cutting, punching, robotic welding, powder coating and much more, ESS offers a level of manufacturing like no other battery solution provider anywhere.